Incepted in year 2005, PM Projects & Services Pvt. 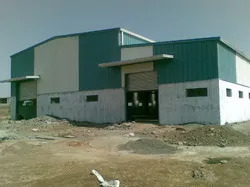 Ltd. are one of the leading Turnkey - EPC Company providing Design & Engineering, Equipment Manufacturer, Supplier, Exporter & Service Provider, Erection, Commissioning of complete package. Based on our Industrial Project experience of more than two decades, we provide Total Engineering Solution - Design & Engineering, Technical Consultancy, Equipment Manufacture, Erection & Commissioning - Turnkey for your projects. Further, owing to the sharp business acumen and extensive knowledge of our mentor Director Mr. Milind Hardikar, we have been able to carve a niche in the market. Owing to his extensive industry experience and foresightedness, Mr.Hardikar is a source of inspiration for everyone in the team. We have a rich experience of more than 250 projects in different industries - Pvt sector / GOVT - PSU. 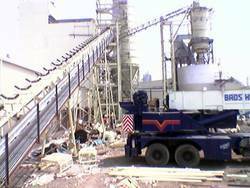 Apart from manufacturing and exporting quality range of Industrial Process Equipment And Plant Machinery, Pollution Control Systems, Material Handling, Storage and Pneumatic Conveying Systems, we undertake Turnkey Project Executions and Technical Consultancy Services. With our years of experience and expertise, we at PM Project & Services Pvt Ltd, have accomplished more than 250 projects to our credit. Right from designing, installation, commissioning and operational training, our services is acknowledged nationwide. In our endeavor to execute quality Project Consultancy and Turnkey Projects, we follow a definite set of stages. Our engineers and consultants put in their hard efforts to make sure that these stages are flawlessly designed and executed to excellence. We are supported by a dexterous team of well qualified professionals whose unwavering efforts have led our company grow leaps and bounds. 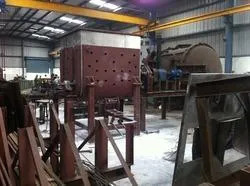 The team of industry experts working with us is empowered with wide industry knowledge and expertise in their respective domain that helps us produce our range of Industrial Process Equipment And Plant Machinery, Pollution Control Systems, Material Handling, Storage And Pneumatic Conveying Systems in accordance to the industrial standards of quality. Our other endeavors are handled by our team of Administrators, Marketing & Sales Executives and Other Skilled Personnel. Owing to their combined efforts we are geared to progress further in our sphere of operation.